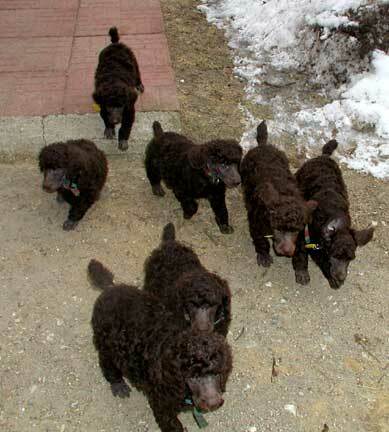 #1 Criteria - Our Royal & Standard Poodles need your Love beyond price, size, and color! - in my selling a pup to you -LOVE - You must truly want to LOVE this pup ! ! ! There is a service fee in using this feature - 3.5% taken whether Paypal, credit card, or bank transfer - they ALL charge me for the internet/credit card service that I must pass on to you for re-imbursement. I pay for the TX sales tax in your pup price...although the site is set up to charge sales tax on TX purchases on other products sold here to Texans. With using Paypal on a pup payment I will immediately refund the tax taken out. 6/21/18 the Supreme Court voted to compel out of state retailers to pay state sales tax on internet sales to all states requesting compensation. In the past I trusted consumers to report their purchases to their state, now I must do this to the requirements each state draws up. 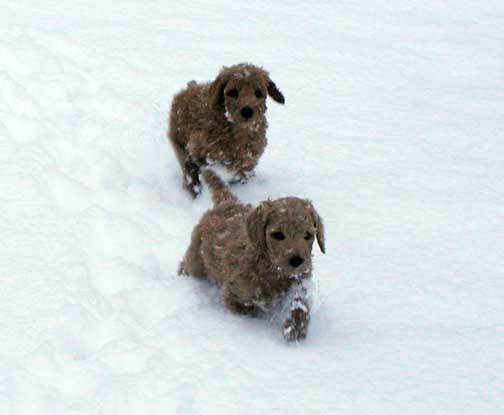 As I do for Texans, I will take the sales tax out of the purchase price of my standard poodle pups and pay that state where applicable when states develop requirements, if not already done. a) The 3.5% fee amount of $59 (pet bed) is covered by the $10 S&H that will come up in checkout. This does exceed the 3.5%, sorry...yet will help with the shipping cost. b) The amount $400 + $4 is not the full 3.5% but when the $10 S&H comes up in checkout it will create the balance to equal around the 3.5%. c) At checkout a set $10 S&H fee will come up, this will include/add to any 3.5% fee. *OR, if purchasing puppy plus products -> email Tes for a Paypal/CC invoice total for all items. If you are a customer, you will have my email address which I can respond to providing exact amount if purchasing products and other items...I will list the items out on the invoice which will allow you to use your Paypal or Credit Card via this option of payment...cc fees will apply. Checks: Write check out to Tes Ingebritson (NOT "Royal Standard Poodles," this is the website name ONLY!) Mail in Priority Mail US Postal Service. 1. A $400 deposit may be sent when we agree to work together after a telephone interview - Contact Tes at TX cell #737-932-5030 > No Land Line. Dear People - I DO NOT do text messaging - DO NOT text message me! I email ONLY via the form below at which I will provide my email in return. Thank You. Please assure you have sent the form below for interest in one of our standard poodles that we may track communication from your desire of gender, color and size when we visit. With your down payment, TI is committing administrative work, time and money to do her best in communicating and working with you. This form then becomes the start of my file with you...I cannot save text messages which lead to poor communication in my viewpoint and business. Deposits place you in line for a pup in the sequence you have sent your down payment according to another...1, 2, 3... a) sometimes a customer may change their mind and switch to a different litter after others have known they are getting from a specific litter. b) The earlier date switching to this litter will be placed for example AFTER the #2 customer as you changed your mind. We are not here to disappoint those who chose certain litters...we do our best to place "Bump UPs, or Bump Backs in areas". c) Please Do Not ask to be bumped ahead of others if you were to pay fully, it just won't happen. Some customers have been waiting a year and more and I only want a down payment until the pups turn 6 wks of age. d) NOTE: If someone comes along and purchases a pup for breeding within a litter, they will be given priority to the degree that we must choose the best tested pup for them to continue healthy offspring for all of our future pet desires. We will note this on the down payment list for a heads up. In making a deposit "before" a pup’s birth, Tes Ingebritson (TI) hereby notes your “INTENT” to purchase one of our pups. 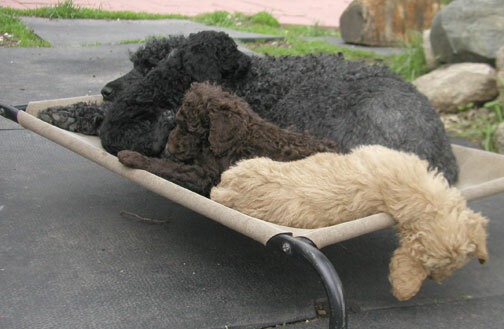 The standard poodle pricing will depend on what state you decide to get your pup from, MN or TX. TI sends the contract to be filled in with your “INTENT” to buy. If one comes on board at one price to the state, example MN $2,000; and life happens beyond 6 months or one changes mind and needs to wait into another year, and a price increase may occur in any later year, that new price will be adjusted in the contract...waits beyond the normal time frame of a planned litter must adjust (to any price increase) due to extra work now in more communications to keep going with updates on potential litters. We do our best to make you happy yet the standard poodle pricing does not make us rich, it does allow us to live to keep bringing you your loving pets. 2. In the standard poodle pricing of choosing to use Paypal/CC for your deposit method, click the buttons above to the CC page to purchase your pup once agreed upon with TI. Click the appropriate button, then checkout. 3. I do my best to offer you honesty and integrity in making you comfortable with a purchase from a standard poodle puppy for sale. Purchase only when you are in full agreement with your pet desire and my contract. 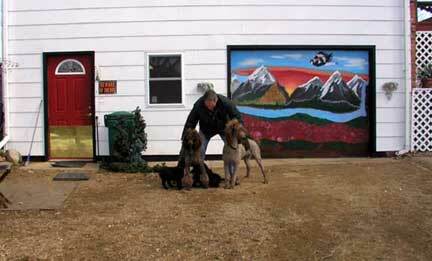 I want my puppies to be loved no matter what their standard poodle pricing and that comes from your committed agreement to love one of these standard poodle puppies :0) Please move forward with confidence that I will deal honestly with you at all times, as we ask of you. Full Refunds are given ONLY if: You wanted a pup in a specific litter and it was not born according to your written request. We can switch you to a different litter, hopefully filling in where a "Bump Back" might be. NO Refund is given if you simply change your mind - if a refund is requested at any point before receiving pup, there is NO refund. Your down payment will always be available for your return when you are ready for a pup from TI at which you will be given priority accordingly. Things happen in life that are not expected, I respect that...and as long as we are still breeding you will have this option...it's just that we have invested time and work in placing you on the down payment lists, possibly turned away buyers after your placement, et al. 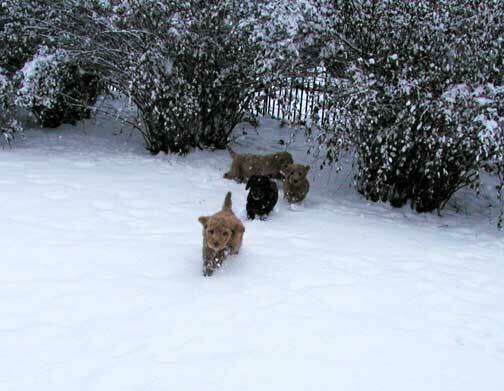 We need commitments to the best of your ability at the time to plan for each litter. We don't breed to just breed! 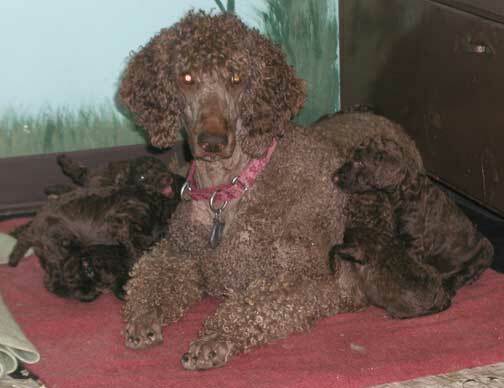 We want to know our standard poodle dams have a good start on placements before breeding. I am here for good will not ill will, but please understand to randomly give back money leaves us with re-marketing Royal Standard Poodle pups, telephoning contacts I have had to turn away (and possibly lost to buying from someone else), so that has paid for time and marketing of this pup. It is hard to know what Mother Nature or life is going to do, yet we want to do our best in providing you with a pet to love, whatever gender, color or size. It's all a part of finding A Perfect World pet to be in your perfect world :0) It is a commitment. 5. TX State Sales Tax: pets are a luxury item and sales tax may need to be paid to your state. Talk to your tax accountant on this for further information on what your state requires. 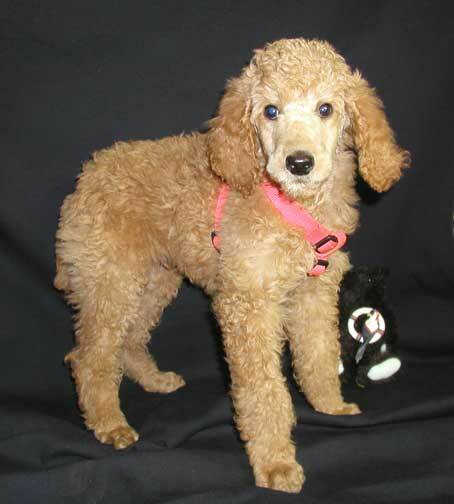 For pups coming out of Texas - I pay the Sales Tax in the standard poodle pricing for any pup purchase over $1,001. This is balanced with out of state customers who "fly" their pup by giving them their crate and health certificate within their pet price. If driving, we DO NOT provide a crate. They lose a lot of equilibrium in a crate while riding and even though they will throw up while in your lap (bring along towels and water for clean up), you are comforting them and helping them bond to you...this is our viewpoint. 6. In purchasing 2 "Pet Only" pups we deduct - $200 from the sale no matter the time-frame of purchase. We LOVE seeing more than one of our pets together and hope down the road you see us worth coming back to with this in the standard poodle pricing for you! 7. 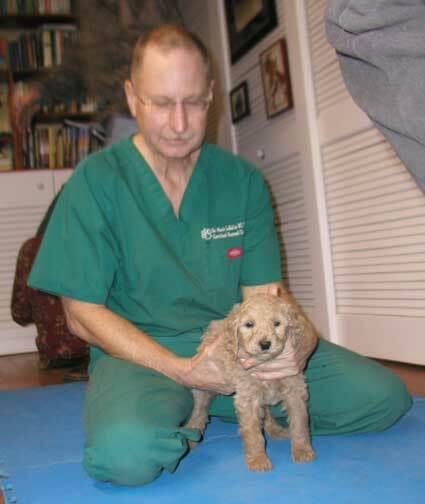 "Breeding" - Breeding pups are a totally different contract and the standard poodle pricing for breeders is $4,000, at which a separate contract would be sent that includes many steps in assuring their future to continue to be healthy and be an ethical breeder. 9. If I do not know you, until credit is established - All funds must have time to clear the banking system before Royal Standard Poodles pup/s can be delivered/flown or taken from our residence. a) Credit Card: via the Paypal checkout on this site, full purchase price must be cleared before receipt of pup/s. There is a 3.5% above the standard poodle pricing charge from Paypal on Credit Cards. For amount of purchase only. b) Paypal: via the Paypal checkout on this site, there is a 3.5% or more service charge from Paypal on transactions. For amount of purchase only. c) Checks: USA customers only! - 1 week to clear bank. Thank You! For amount of purchase only. d) Wiring funds from your bank to TI's: this is one method of payment from non-credit card or non-Paypal using countries/customers For amount of purchase only. e) Western Union: an excellent method as well for customers or other countries For amount of purchase only. 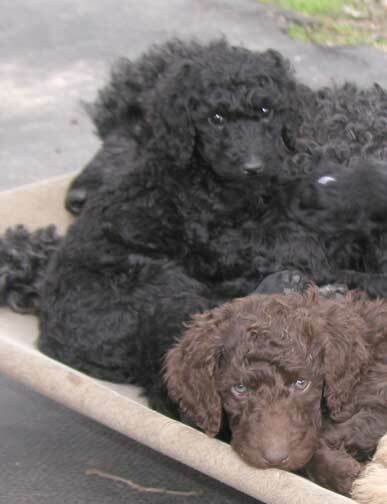 So, if you are interested in moving forward with A Perfect World pup and agree to the standard poodle pricing, we invite you to fill out the form below. I do not breed to just breed. 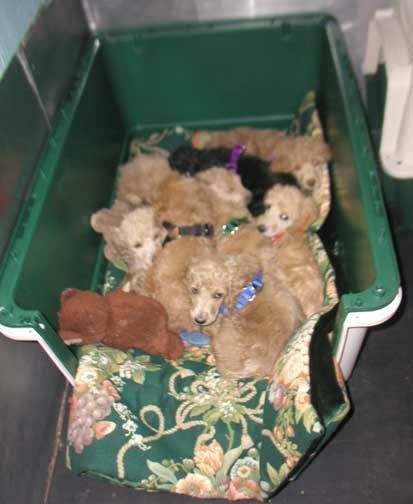 It is important to have down payments to know the litter will have homes - See side tab "Our Poodles" for pictures and testing done/completed on our AKC Standard Poodle parents. First parvo vaccination done at 6 wks old, this is the time frame I invite customers to come and visit, picking out their puppy, before that time pups are in QUARANTINE, not allowing visitors to interact with them. In your standard poodle pricing I either pay for the Health certificate for flight/out of state travel (this is the law), or TX sales tax. Pets are a luxury item in TX and must be taxed. Dewormed and nails clipped every other wk...DON'T wait once a month until the groomer! Nails and ear cleaning must be accomplished every week to 2 weeks. Lupine step in harness placed on around 7 wks old in the standard poodle pricing - this guys name was Pirate with his parrot in the background ;0) The harness is to get customers to wait to put on collars until they get their new home all figured out...accidentally jerking their atlas out of alignment happens by grabbing collars, here one can grab the back of the harness and "Potty Outside" safely...the collar can be put on around 3-4 months of age. 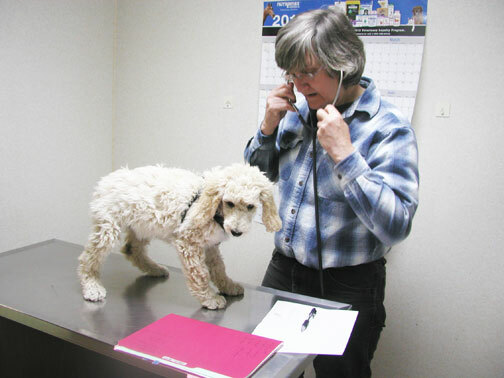 First pet chiropractic adjustment - Click here to find Vet clinics in MN with Dr. Mark LaVallie in the Twin City area. In TX Dr. Angela Stephens will come directly to your home! Cedar oil Shampooing at 4 wks of age and 7 wks of age shampooing and first hair cut has prevented any fleas on our pups! Crate or carry-on for flight, getting lots of smells starting around 6 wks old...some people purchase a larger crate for us to start getting lots of smells for their new home...along with their new pet beds :0) We never put doors on the crates until time to fly. 8 wks of age, if flying, we pay for gas to drive ALL pups to the airport 3 hrs away. (6 hr round trip) By law we must then stay in the city until they actually fly out on the designated flight itinerary time frame to assure all is okay...we can meet customers at the Delta cargo area as well to pick up their pups. It is a full long day leaving at 2am in the morning 90% of the time. Audio book "Pukka's Promise" by Ted Kerasote to help consumers learn about the canine world from a viewpoint that looks at their heritage and how to keep a pet living healthier and longer. Don't forget - Health and structure Tested parents ;0) ABOVE picture - Cleopatra has been THE best momma! Always with her pups no matter what age!! Other mommas have always been, "I'm done with you - I'm outta here!!" Cleopatra is now retired in a forever home in Minneapolis...THANK YOU for all your love!!! 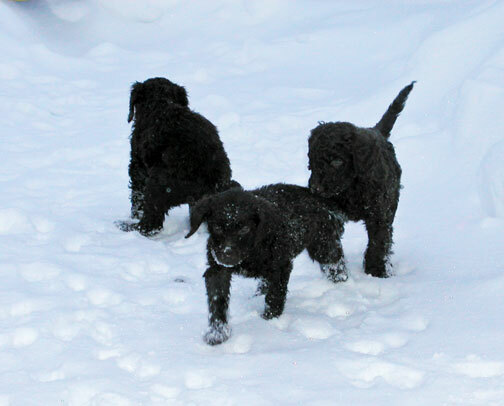 Starting to learn commands and "Potty Outside" training, even in the MN cold!! Acclimation is VERY important to be done SLOWLY in cold weather or hot with young puppies - being vigilant in watching over their care for you!!! ONLY 15 min at a time until aging appropriately! ALWAYS cautious for their protection. 12. 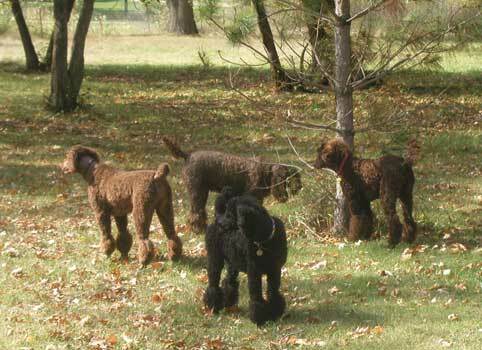 "Our" Standard Poodle Parents are between 55-85#, 24"-28" at the shoulder/withers. We go more by weight then height. 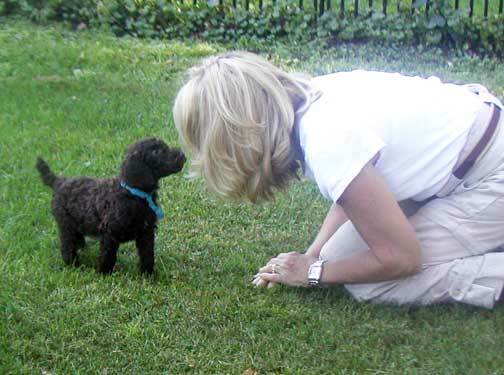 Check out the "Customer Poodles" tab for pictures and the "Tracking of ___" (that pet's growth if shared)! When the girls or boys are spayed/neutered, on the average they grow taller instead of fuller when done within 5-6 months of age. Their hormones, when done early enough, do not focus on filling out masculinely or working to become a dam. Instead the body continues to grow in another dimension :o) One can see this in steers vs bulls. 14. Thoroughly read through the website tabs please. You interviewing Tes as much as she interviews you. NOTE: Like going into a store to look and purchase a product, she sees your telephone call as that "Interest" to window shop. It is not our intent to bother you, only after several days of non-response to an email to you might she initiate a first phone call to assure it didn't get lost into cyberspace. 16. If the two of us see that we can move forward in agreement, Tes will invite you to make your deposit via CC/Paypal or time allowing, funding methods above and will respond to your email with a checklist she provides customers of knowing steps along the way in working together. TI considers this as important as the contract! 17. Upon receipt of your funds, a Priority Mail package is sent out to you containing the contract and data provided at that time. 18. TI will keep in touch with down payment customers whenever news arises; the girls starting to show a large tummy, these will also be posted on the website - mark this in your "Favorites" please. 19. Watch for updates under each Dam's picture. 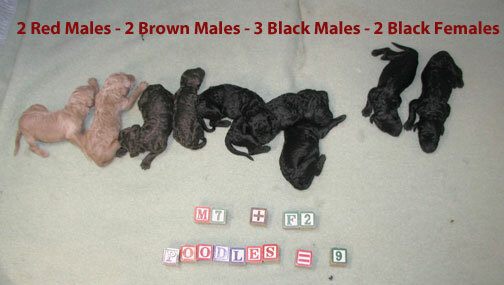 Once pups are born, picture will be posted after one week of age then picture updates occur every 2 weeks in the "Puppies for Sale" tab: 1 wk, 3 wks, 5 wks, 7 wks. 20. Track the checklist you have received and check-off items as they occur, please asking questions or considerations when they arise. 21. Good Communication is Vital in working together for a positive experience! Email is used frequently, yet a telephone call helps clarify points or making a long typing session more friendly with a call. Thank You in working with us! 22. 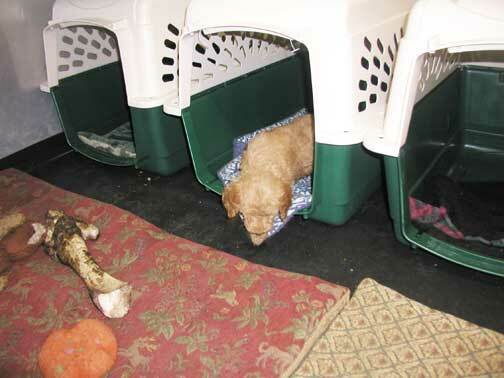 At 6 wks of age if pup out of MN: Communication now ramps up in learning travel plans. Tes is ALWAYS ready to help when/if needed though! Your questions/considerations are a part of my job in providing a pet to you - no matter how new or old. I will do my best to help answer them - whether computer, dogs, or whatever life throws your way that you'd like to call and talk about! Below, my first mating pair Zain and Kodi with their first litter :0) The original home has DEFINITELY taken a new look over the years!